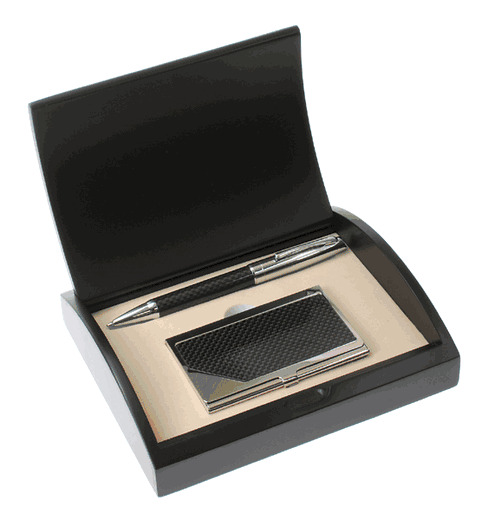 FEATURES/SPECS This elegant gift set includes a carbon fiber accented ballpoint pen and business card case. 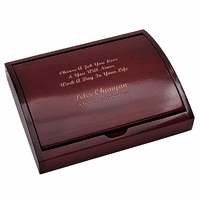 The card case holds up to 15 business cards. 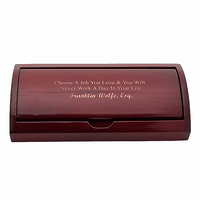 The black coated wooden gift box comes personalized with the phrase "Choose A Job You Love And You Will Never Have To Work A Day In Your Life." 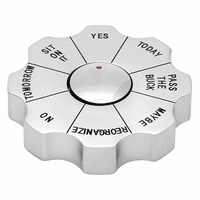 Below that, you can add up to 2 lines of your own personalization free of charge. 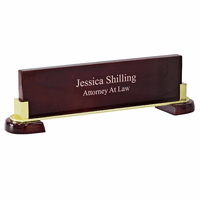 We laser engrave right into the wood creating a carved out effect. This pen cand card case set comes packaged in a gift box and ships out the next business day. how can I add a quote as well as the person's name?